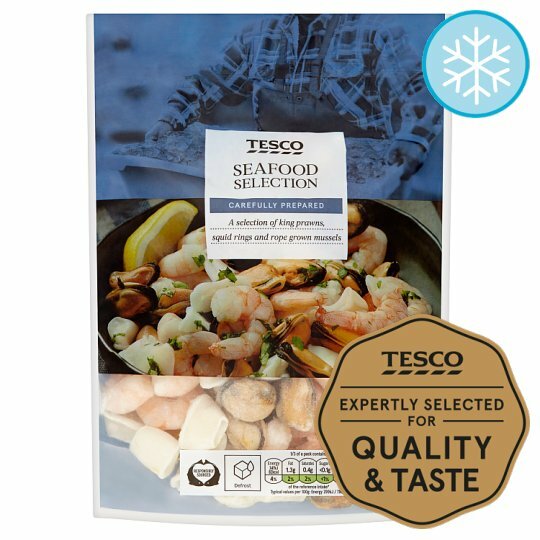 INGREDIENTS: Mussels (Mollusc) (42%), Squid (Mollusc) (28%), King Prawn (Crustacean) (28%), Salt. Contains crustaceans and molluscs.For allergens, see ingredients in bold. Defrost thoroughly for a minimum of 8 hours in a refrigerator.